July 2018 - Chemical Safety works diligently to satisfy clients by enriching our system, striving to comprehensively improve their operations. The result of our efforts has manifested in new software functions that we proudly present to our customers this coming September. The system will still incorporate the same sturdy and effective modules and functions, but this update will include several additions, as well as modified changes to some existing ones, all to help better serve our customers. One of the most notable changes to the EMS Waste Mobile Application is our introduction of the Info Panel. EMS users will now be able to audit their waste accumulation areas and manifests using the EMS.Waste Mobile Application. More so, from EMS Web, drums will be able to be pre-assigned to a manifest as a part of ensuring proper transfer and less tedious auditing of the manifest. 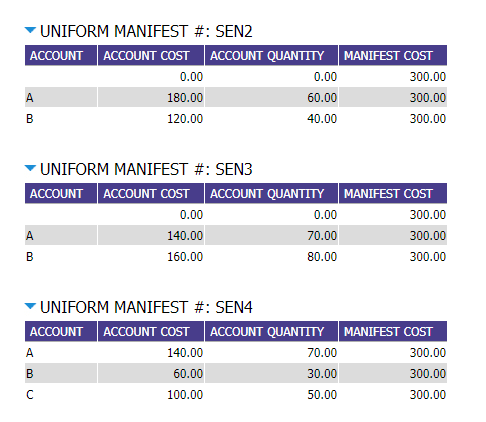 The ‘Info Panel’ will assist users during the audit by displaying the pertinent information of the manifest or accumulation area. Our goal at Chemical Safety is to streamline operations and offer out of-the-office, real-time capabilities to our clients and their employees. After finishing an audit of an accumulation area, a report can be run and printed that details the findings of the audit. For more information, click on the pre-assigning drums and auditing a manifest, and accumulation area links. 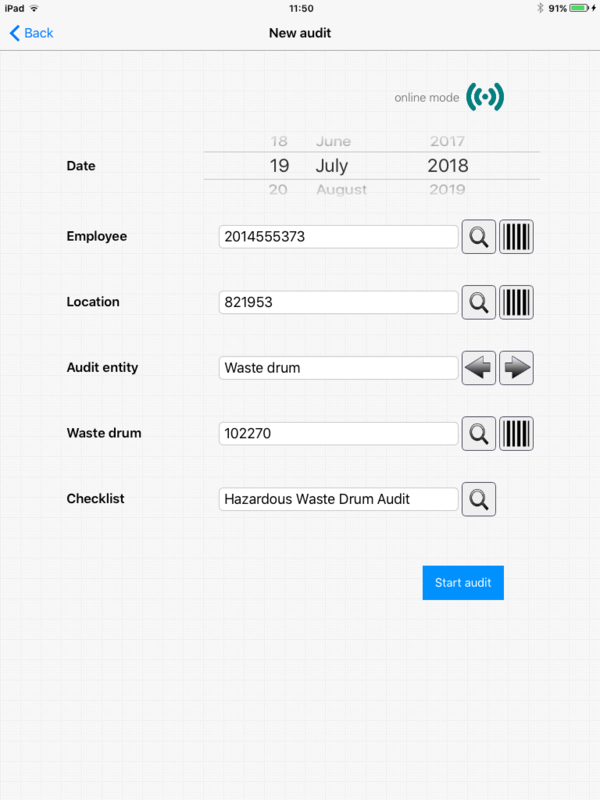 The EMS.Audit Mobile Application will now enable users to audit their waste drums in order to examine the condition of the drum and execute orders and actions. The new auditing features will expand user capabilities beyond the range of inspecting their facilities and locations so that they can further qualify items within those areas. 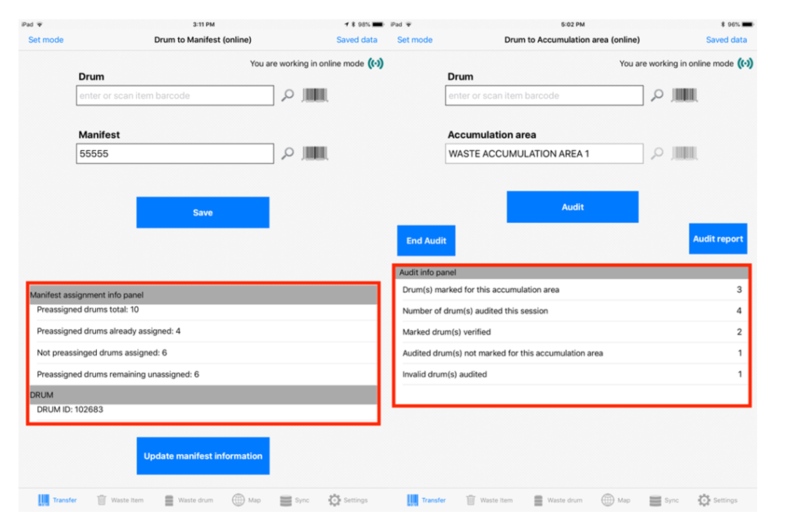 The audit parameters will be based on the profile assigned to the drums, allowing users to locate and conduct the appropriate checklist/questionnaire for the drum in audit. EMS Web will soon provide its users the ability to perform individual or comprehensive Drum Cost Analyses. Financial breakdowns of a firm’s locations or facilities is a crucial part of its operations. Now these areas’ billing departments can more accurately analyze their expenses based on individual or collective drum costs. According to manifests, drums are assigned to a cost center account, in which the drum’s quantity and weight are actuated to a cost. The system supports the consolidated cost sum of drums and items, as well as checking consistencies between the drum weight and the system’s accountable weight. The sum of all of which can be run as a report. This feature has become an increasing need as more meticulous financing finds itself as a part of compliance and effective economic business operation. For this reason, we at Chemical Safety have applied solutions for better maintaining finances. On-site operations commonly involve consolidating or transferring items around the facility locations in Carts for purposes of collection, delivery, disposal, and more. EMS will now support this mode, so that the loose items, materials for delivery, and other facility item needs, can be properly accounted for and consolidated for appropriate actions. As a part of the EMS Waste Module, this will function similar to waste drums. A drum will be created, and during the creation, the drum will be specified as a cart. A profile will be assigned that designates the purpose of the cart and its destination. Providing our customers with sound Privacy and Security measures is always important to us Chemical Safety. To reflect this, we have enhanced our RSSO authentication mechanisms. Several other new features will be released with the new version, and alongside will be a detailed version update document that will elaborate on the aforementioned updates and succeeding features. At Chemical Safety, we look forward to providing the best product possible and working with our esteemed clients and of course, welcoming new ones. We hope that our excitement resonates with you, as it does with us.